Are you living in (or moving to) Illinois and want to attend school for accounting? Are you thinking of becoming a certified public accountant (CPA) someday? You have a lot of options available to say the least. The state of Illinois is home to over twenty five different accounting programs and covers pretty much every direction in “The Prairie State”. You can choose to live in pretty much any area of Illinois and have a school nearby. The trick however, lies in choosing the correct accounting school that’s suitable for you. Some people really have a brain for number crunching and truly find it fascinating. A career in accounting makes sense for many people. 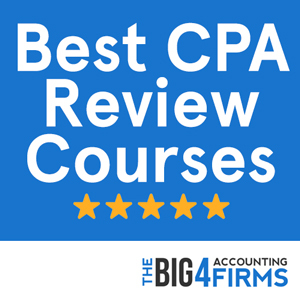 If you really want to go the distance and get your CPA, you will have to look into finding the right program that will take you there. What courses do they offer? Will they provide you with the correct amount of courses in order to earn your license? Do they have reputable staff? Find out everything you can about their accounting progam by contacting the school. You can be put in touch with a member of the staff, or maybe even a current student/ alumnus to tell you what it’s really like there. If you’re still not sure, it doesn’t hurt to go visit the school and see for yourself what it’s like. Research is your best bet. Every state has its own requirements in order to qualify for your CPA. Most all agree that at least 150 semester credits are required from an accredited college or university. A minimum of bachelor’s degree is required, and you must take a certain number of accounting courses, and a certain number of business courses. Some programs offer accelerated programs that would allow you to earn the educational requirements designed to prepare you for your CPA. 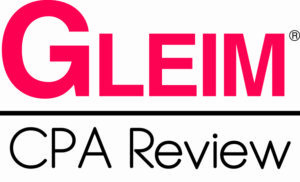 Once you have fulfilled your education requirements, you must qualify to sit for the CPA exam. This exam is VERY difficult and is not known for its high pass rate. Once you pass the CPA exam, you must then sit for an ethics exam. Before being eligible for your CPA license, you usually would be required to have a certain number of hours of experience under your belt working in finance, auditing, or other relatable areas. If you have the desired number of hours of experience, you should then qualify for your CPA licence. It is a long, difficult road, but very fulfilling in the end. The state of Illinois abides by much of the above, but it has specifications that you must keep in mind. They have a lot of rules that you should look over. You must at least one year of full time working experience providing advice or services relating to accounting, financial advisory, management advisory or tax related skills. As with any profession, it’s good to know what you could potentially earn if you follow through with your education. Every state has a different standard for the yearly income of the average accountant, but Illinois has the average of around $75,000 per year. This of course, is not the case for every accountant out there. It depends on who you work for, if you’re with a large or small company, or if you are working independently. That number is merely a ballpark figure for you to get an idea of what you at least should be making as a CPA. Being the second best ranked accounting program in the country, University of Illinois clearly offers a program that is exemplary and can help you on your journey to obtaining your CPA license. The UIC Business school’s department of accounting offers courses to help prepare its students to become CPAs, CMAs and other designations. Their faculty are among some of the best in the country and their courses are such that would challenge you to be able to understand some of the most complex financial problems and theories. As the CPA exam is very difficult, you would need to have rigorous studies and University of Illinois certainly can help you. They also host guest researchers from around the world and offer occasional conferences. This program does have a waiting list, so be sure to check their website for information on how to qualify. Illinois has many accounting programs to choose from, and it so happens that several of them have been ranked among the best accounting schools across the country. According to the 32nd Annual Professors Survey, University of Illinois ranked number two for the top 25 undergraduate programs in 2013. 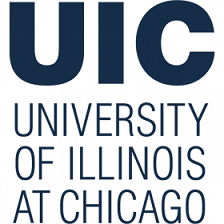 University of Illinois also placed number three for the top masters program (down from number two in 2012), and number five for the doctoral program (down from number three in 2012). Northern Illinois University also did well in the rankings, placing number sixteen for the undergraduate program (up from number twenty in 2012), number sixteen for the masters program (up from 23 in 2012), but did not place for the top 25 doctoral programs. In terms of program size, University of Illinois placed number 2 in the top 25 undergraduate programs with 22+ full-time accounting faculty, while Northern Illinois University placed twelfth. Of the smaller staffed programs, Southern Illinois University placed 25 for the undergraduate programs with fifteen or fewer full-time accounting faculty. Listed among the best 200 universities in the country by U.S. News, Northern Illinois University prides itself on a wide range of well-regarded academic programs and business partnerships. The AACSB-accredited College of Business at NIU offers a Bachelor of Science in Accounting, as well as relevant Master’s degrees for students interested in the CPA track. The Master of Accounting Science (Leadership) program is a unique blend of academic learning with leadership and professional development experience bound to put you at an advantage in a dynamic business environment. If you are looking to start a career in tax, the Master of Science in Taxation may be the one for you. Business-oriented students may also consider the dual MBA offered by NIU jointly with Bordeaux University in France. In addition, the university offers a range of professional certification review courses that can help you pass the CPA exam with flying colors. With over 250 recruiters on campus, nationally ranked programs and scholarship opportunities, the NIU accounting program has all you need to get off to a great start in your career. Ranked as 4th best business school in the country by U.S. News, the Booth School of Business at the University of Chicago is one of the best places to start your graduate studies in Illinois. Prospective accountants interested in gaining a higher degree either for CPA qualification or enhanced career prospects can choose from a range of MBA programs: full-time, evening, weekend or executive. Pursuing an MBA with an accounting concentration will provide you with knowledge of financial statement analysis, taxation and cost accounting. At Booth School of Business you can also gain that precious extracurricular experience by getting involved in the Corporate Finance Group, Distressed Investing and Restructuring Group or the American Bankruptcy Institute Corporate Restructuring Competition. Finally, students interested in an academic career can pursue the prestigious PhD program at the University of Chicago, rated 3rd in the country by Public Accounting Report in 2013.